King’s College Frankfurt forms part of King’s Group, a highly successful educational organisation which has provided children and young people with a rigorous and broad British education in an international setting since 1969. 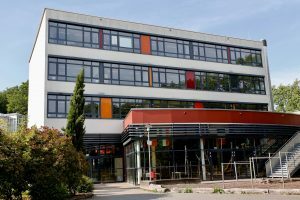 King’s College Frankfurt is located in northern Frankfurt in the residential town of Friedrichsdorf, approximately 20 kilometres from the city centre. The school is designed to hold approximately 500 pupils and will eventually cater for children from the age of 2 years old (Pre-Nursery), through to 18 years old (Year 13). At the moment, the school offers places to children between the ages of 2 (Pre-Nursery) and 10 years old (Year 5). As these pupils progress through their academic journey, the school will expand to cater for pupils up to 18 years old. Pupils study the English curriculum and learn through hands-on practical experiences that aim to enrich the whole child’s growth.